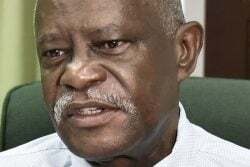 “Our resilience has finally paid off,” said Leslie Junor, secretary of the Guyana Bauxite and General Workers Union (GB&GWU) on Wednesday, after the Union and BCGI finally agreed to meet. Junor made the statement to Stabroek News in the backdrop of the decision of the Bauxite Company of Guyana Inc. (BCGI) and the union to finally— after more than three weeks— have bilateral meetings with an aim of ending the current industrial actions that the workers have taken. However, Junor noted that the union will be holding its ground until formal developments are made between the two parties. “We would say that we broke down the company because they are stubborn and our actions, our resilience has finally paid off. We decided to go with them, to go the mile. We stood up and we didn’t bow to the pressure and it appears as though it will be finally paid off,” Junor emphatically said…..